Nirmalakka was acquitted in the final court case against her on April 2. 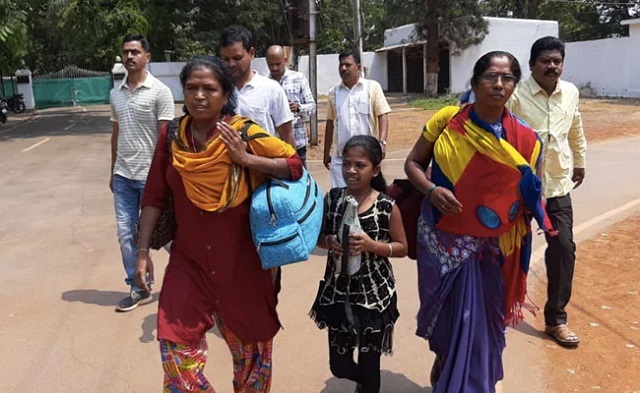 After 157 charges framed against her and being jailed for more then 4,380 days spanning 12 years, there is a looming sadness when Nirmalakka, a citizen of Telangana, is asked what it feels like to finally be free. "I donʹt want to say anything," she says, tearing up. In 2007, Nirmalakka was arrested along with her husband Chandrashekhar Reddy in Chhattisgarh capital Raipur. However, due to lack of evidence, Nirmalakka was acquitted one-by-one from all the courts where the cases were filed, across 12 years. But because of the sheer number of cases against her, Nirmalakka remained stuck in prison. Her husband, Mr Reddy after spending 10 years was released in December 2017. However, fresh charges kept being filed against her in the years 2007, 2008, 2014 and 2015. There was no evidence to prove her involvement in all of the cases. On being asked what Nirmalakka would do after finally being freed after all these years in prison, she goes quiet and bursts into tears. "I just want to spend time with my family," she says.